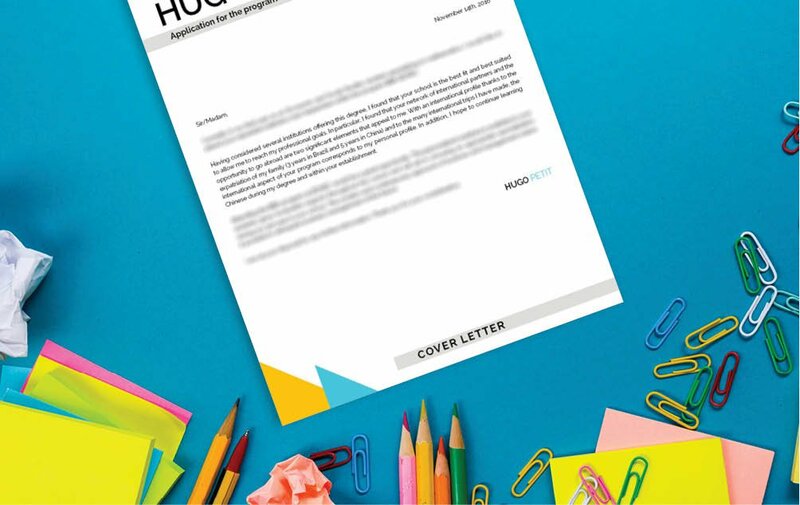 A great modern cover letter with a simple and unique design that is made to stand out! 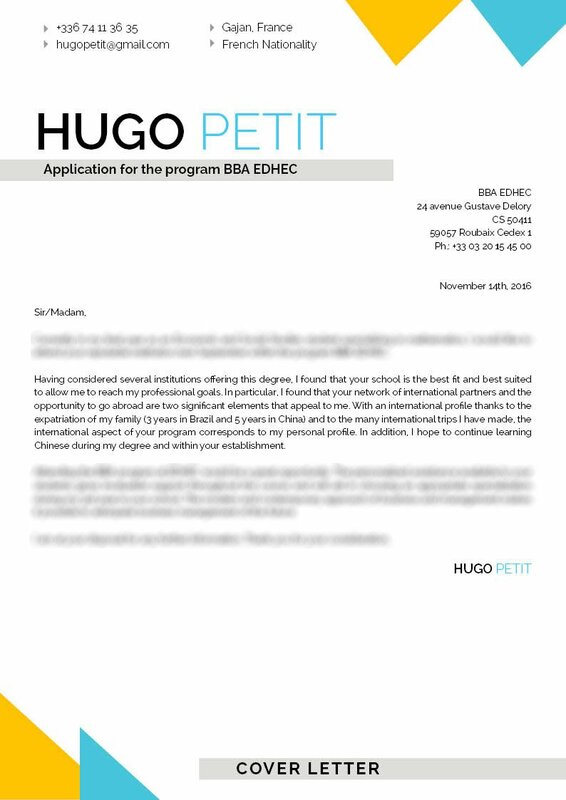 Cover letter to download "Application for a Master-2"
The BBA EDHEC cover letter features a particularly good-looking design that gives your potential employer all the key information relevant to the job, which makes this modern cover letter a great fit for any type of job and is especially created for applicants with a solid set of skills and experience as it presents all the relevant information within a clear and comprehensive design that is sure to increase your chances of landing that dream job! 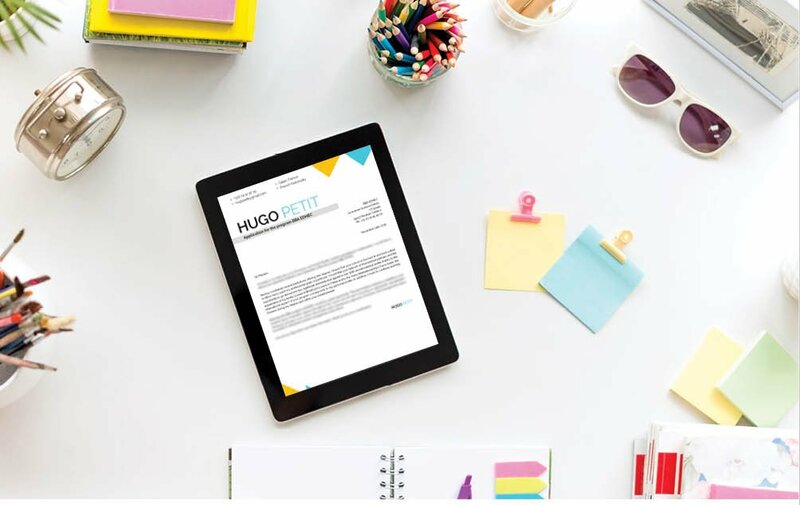 Give your letter a clear and effective format!—A resume was written this way is more likely to get the attention of hiring managers, and get you hired faster! 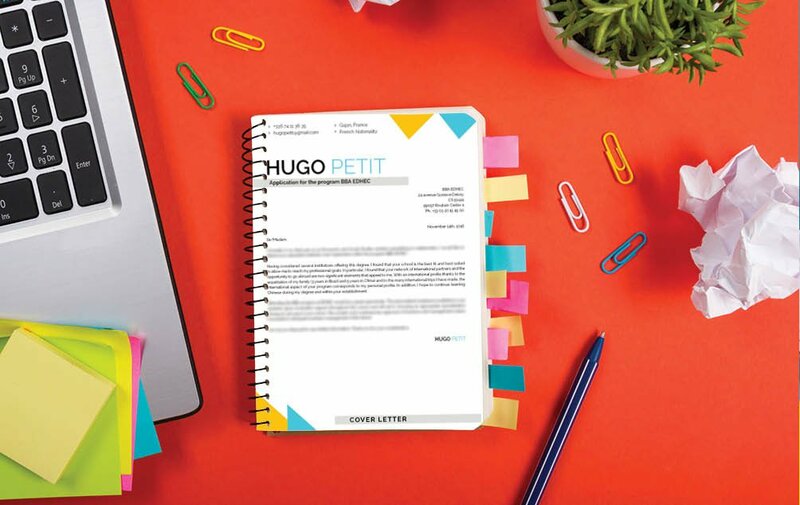 One key factor in making a cover letter effective is how well you create its overall layout and design. Most resumes are just scanned for 10-30 seconds—it doesn’t get a full reading the first time through. So all of your qualifications must be presented within a well-organized layout. To create this, select a professional font like Serif or Sans Serif, choose font a size between 11 and, and effectively apply bold/italic font faces to help guide the reader along with your resume. Make good use of symbols, graphics, and bullets to give emphasis to the key parts of your cover letter that need to be highlighted. Lastly, give your resume a logical format by using wide-margins, headings, and subheadings.